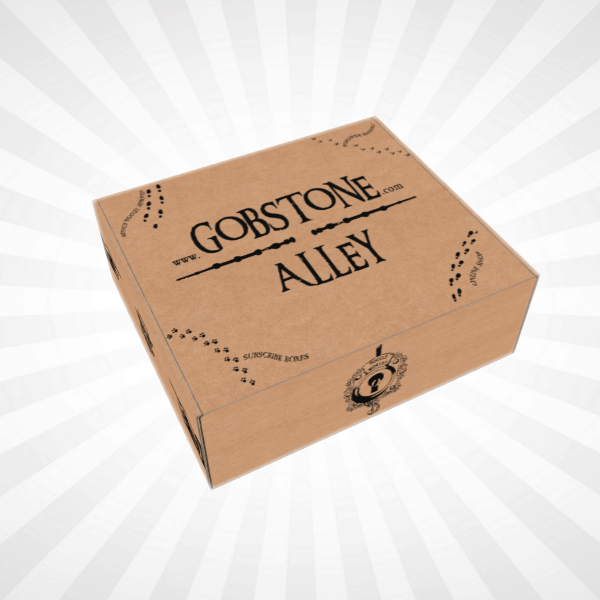 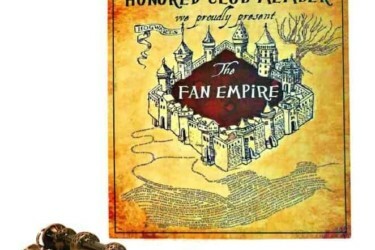 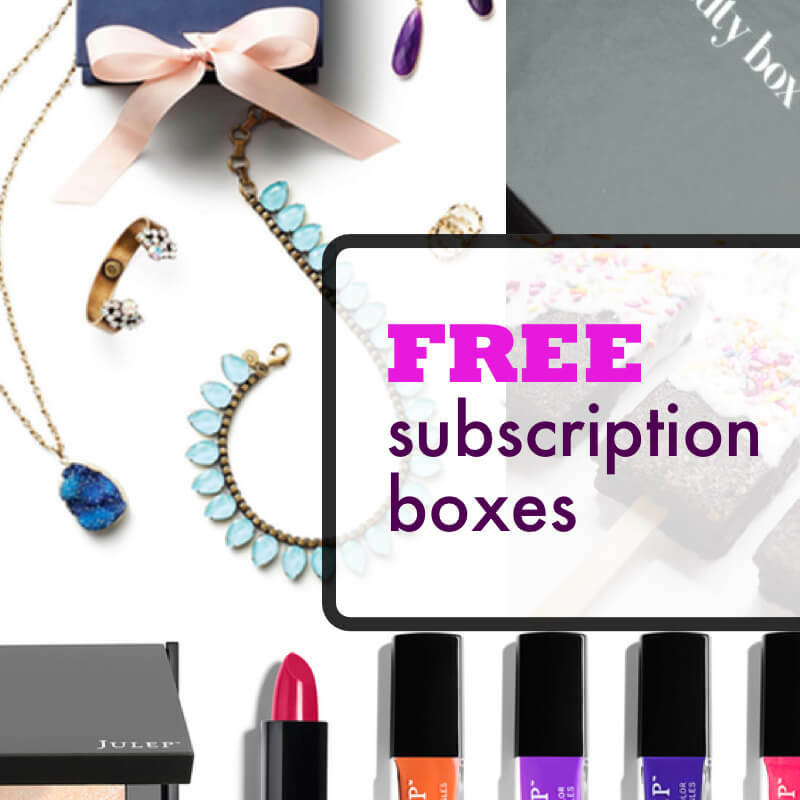 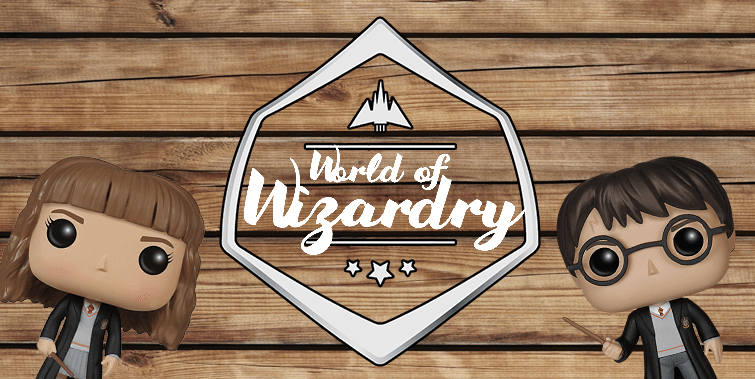 Our new subscription bringing you 4-6 wearable items from the wizarding world every month! 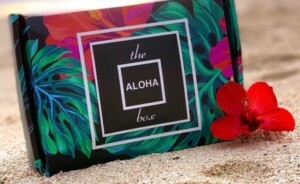 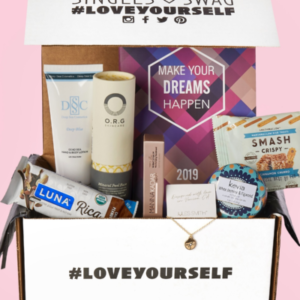 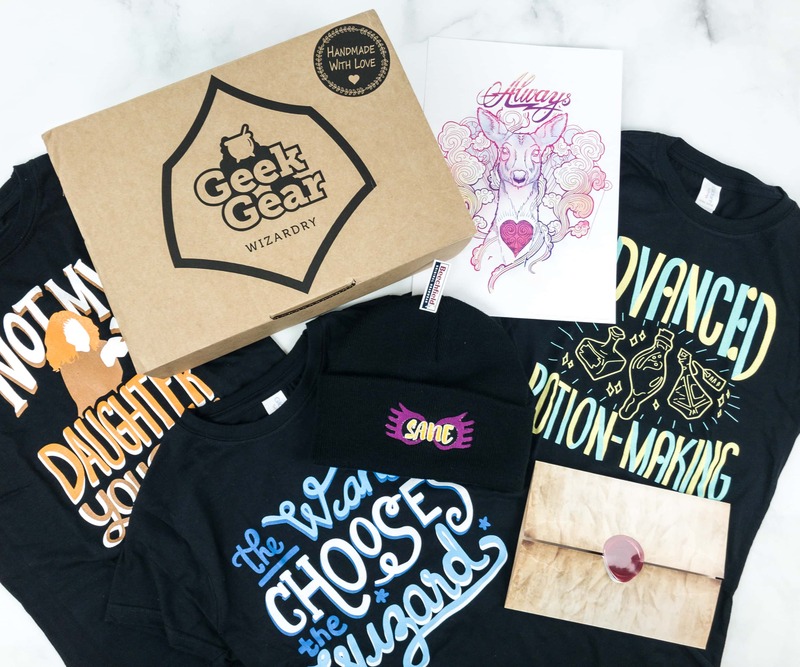 You are promised at least 2 T-Shirts in every box plus 2-4 other wearable items! 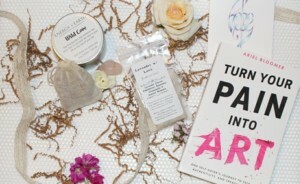 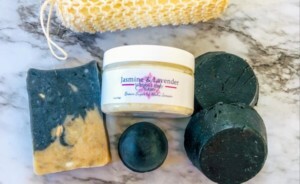 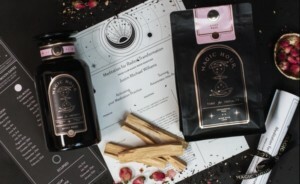 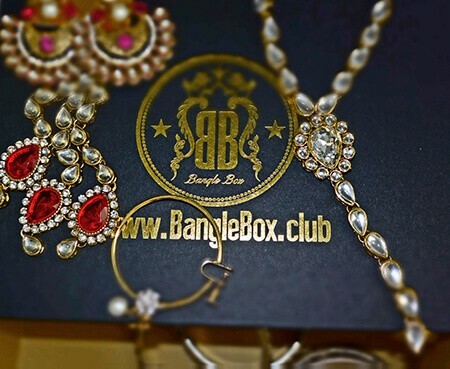 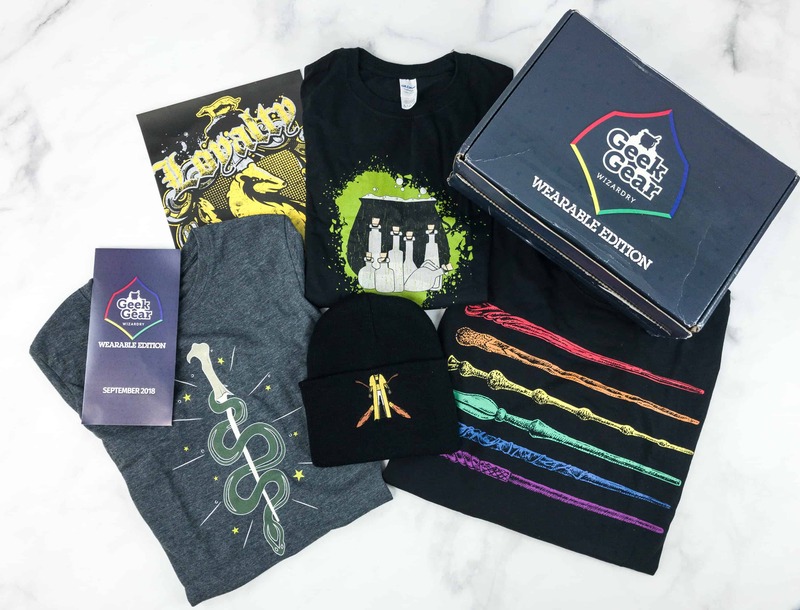 Show your magical side in style! 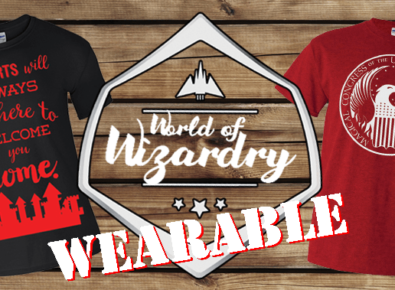 Geek Gear World of Wizardry Wearables Cyber Monday Coupon! 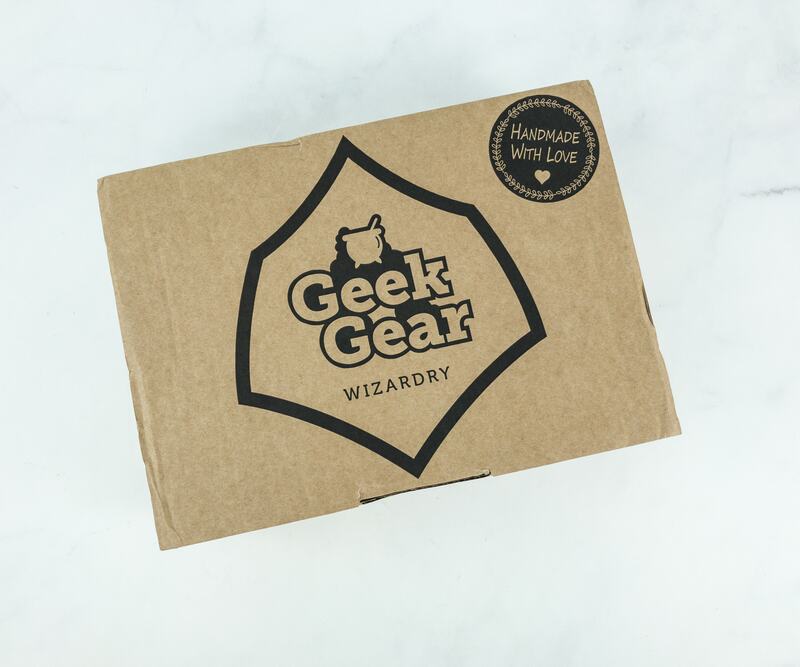 Geek Gear World of Wizardry Wearables Black Friday Coupon! 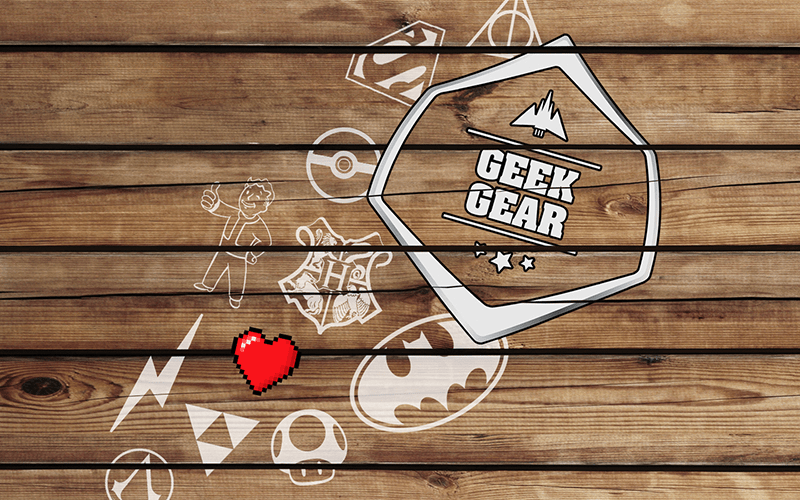 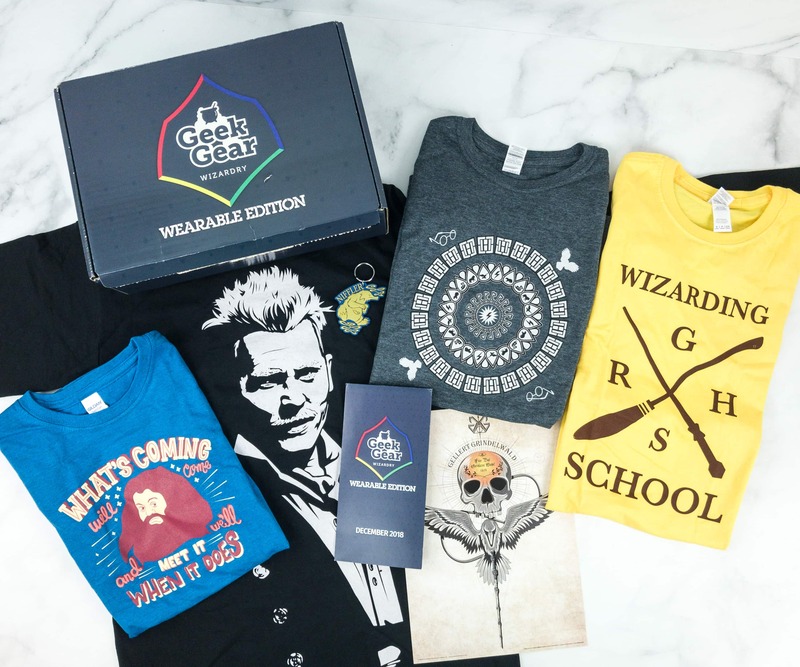 GeekGear World of Wizardry Wearables Coupon: Get 25% Off Subscriptions! 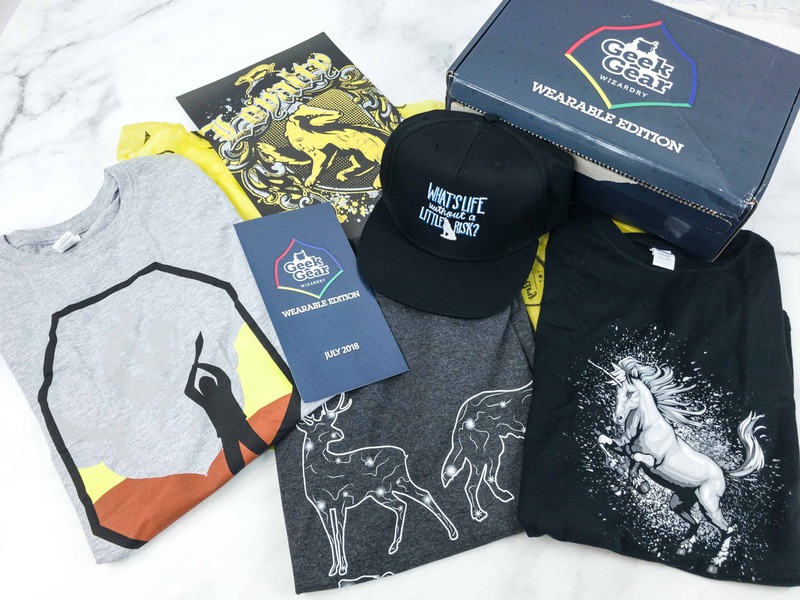 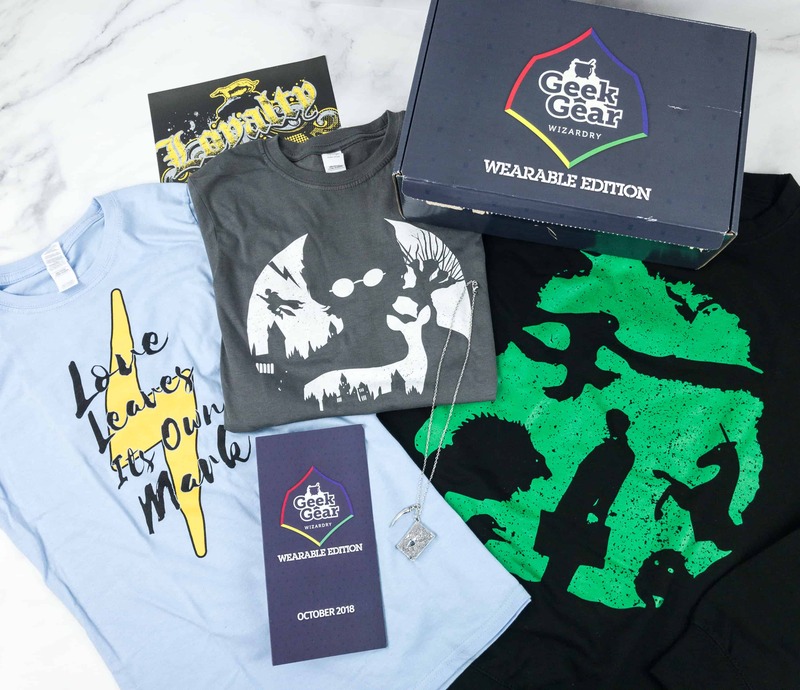 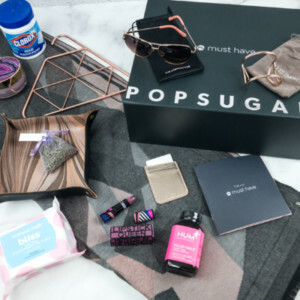 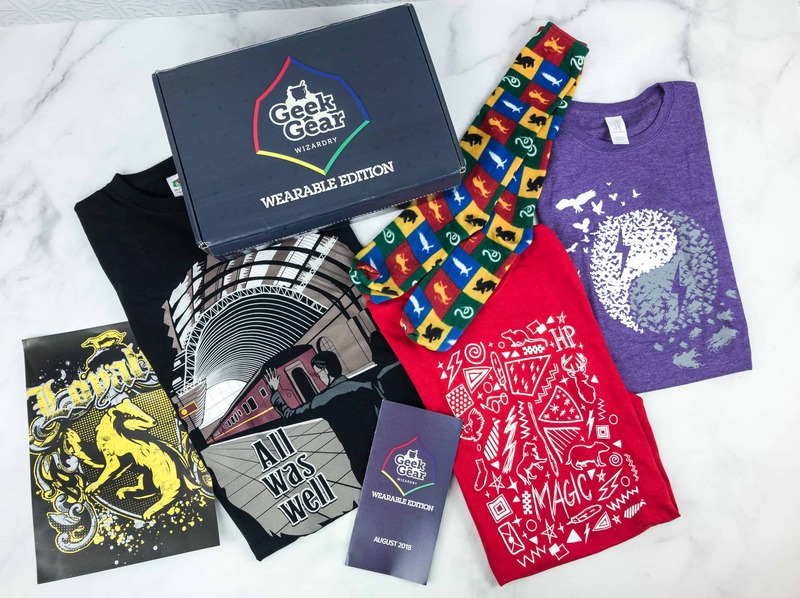 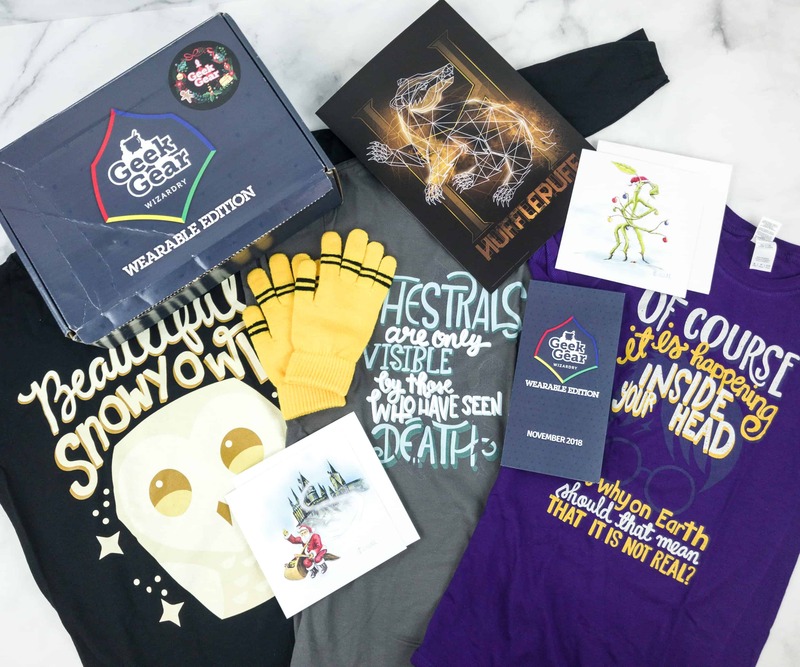 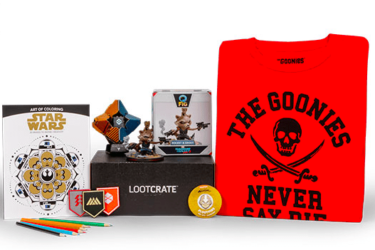 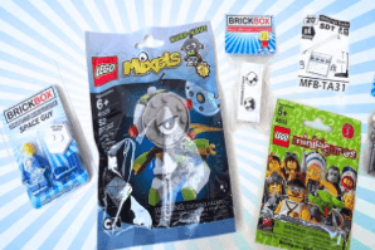 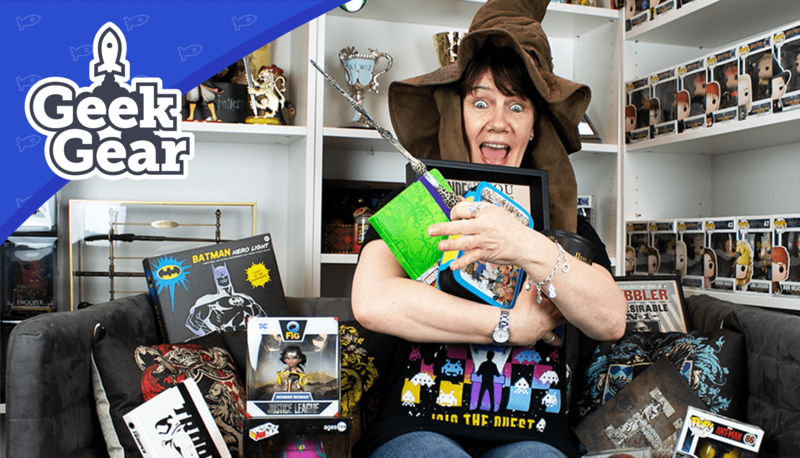 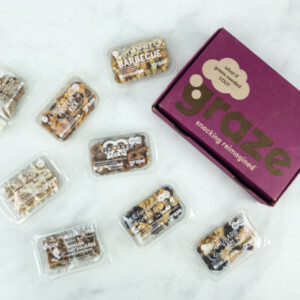 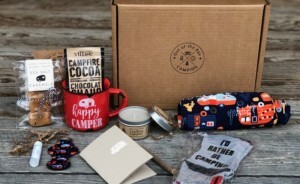 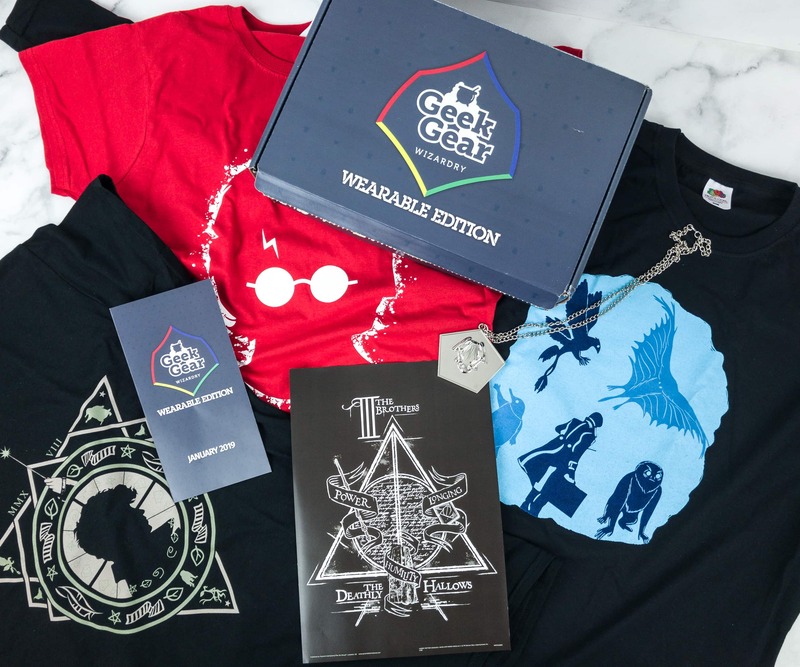 Geek Gear World of Wizardry Wearables Subscription Update + April Spoilers + Coupon!